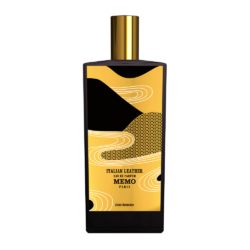 Italian Leather by Memo is a Leather fragrance for women and men. Italian Leather was launched in 2013. The nose behind this fragrance is Alienor Massenet. Top notes are tomato leaf, vanilla and leather; middle notes are labdanum, clary sage, galbanum, tomato leaf and orris root; base notes are vanilla absolute, sandalwood, tolu balsam, opoponax, myrrh, benzoin, leather and musk.